The noun ouroboros (aka uroboros) is derived from the Greek words ouro (tail) and boros (eating); it describes a snake or dragon devouring its own tail. It’s an ancient symbol suggesting rebirth, eternal life and infinity. 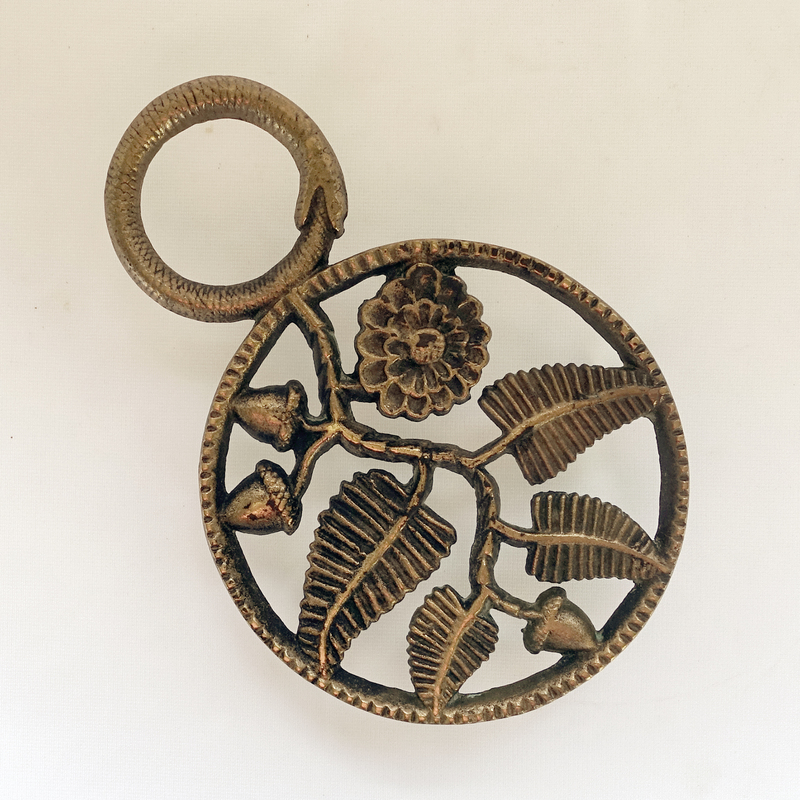 This wonderful coppery bronze trivet features an ouroboros in the handle. Other details include scales on the surface of the snake, decorative chasing along the outer rim, and crosshatching to the caps of the acorns. 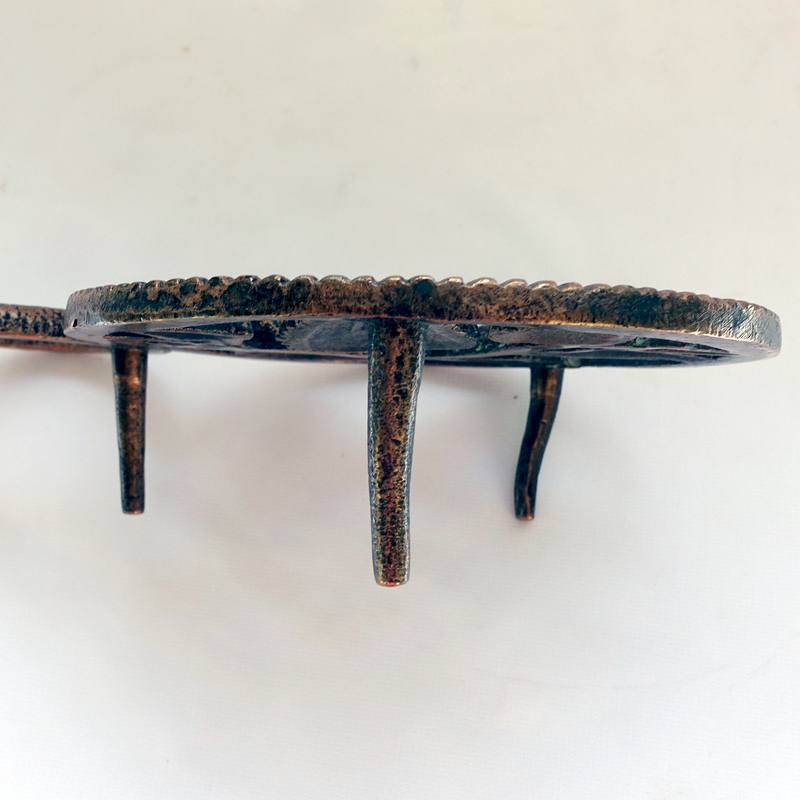 Although two of the three legs are bowed, this trivet sits squarely on a flat surface. Some verdigris (a bright bluish-green encrustation or patina formed by oxidation) is present in the hollows of the design and the underside of the leaves. No cast mark is visible, not uncommon in softer metals like brass or bronze. The long legs suggest an older casting; the surface wear and bent legs are commensurate with age and use. 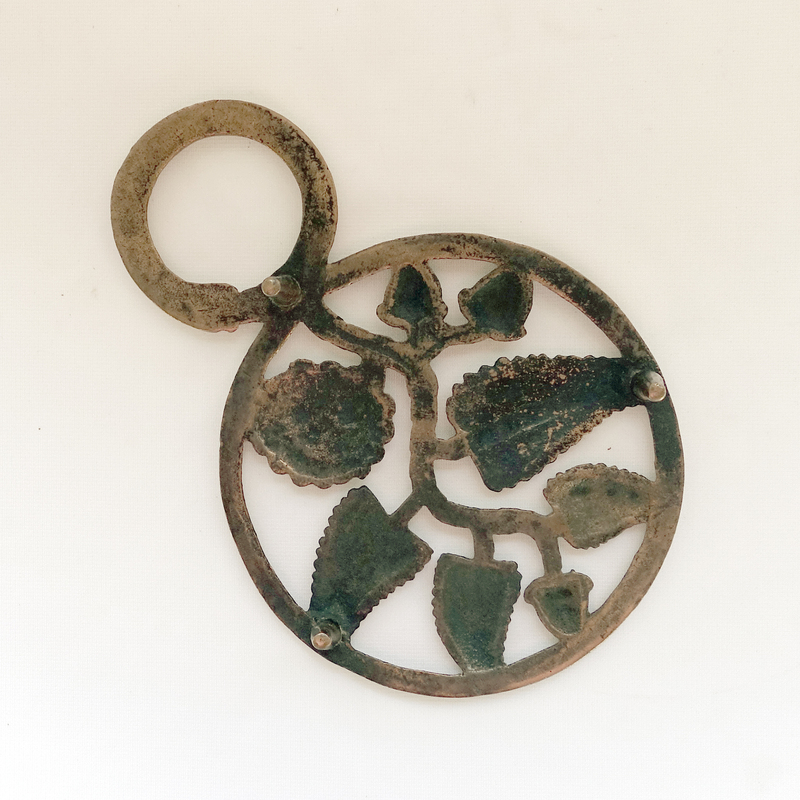 I believe this trivet dates to the early 1900s or earlier. Bronze ~ 8 1/4″ x 5 1/2″ with three 1 7/8″ legs. Unsigned ~ 1 pound 5 ounces. Verdigris present. 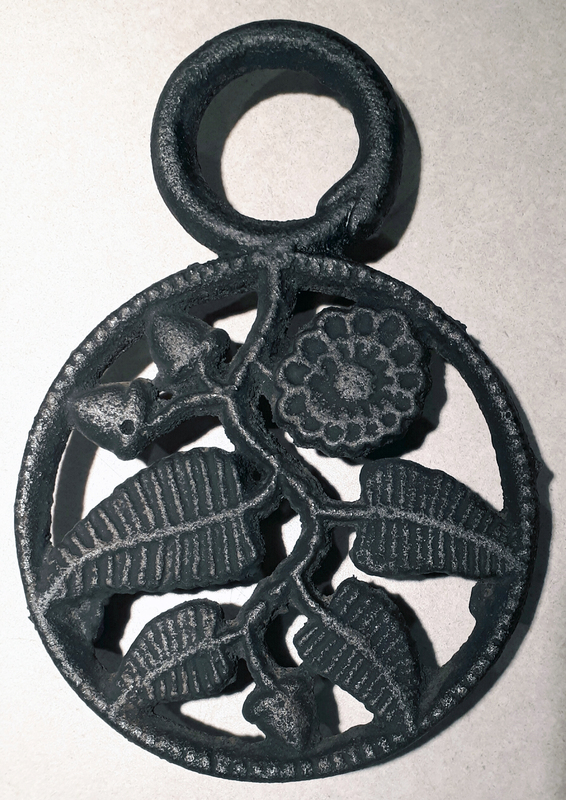 Compare my bronze trivet with this cast iron version shared by John Prazak of Canada. It also is unsigned and no cast mark is visible. Can you identify the similarities and differences? Cast iron ~ 8″ x 5 1/4″ with three 1″ legs. 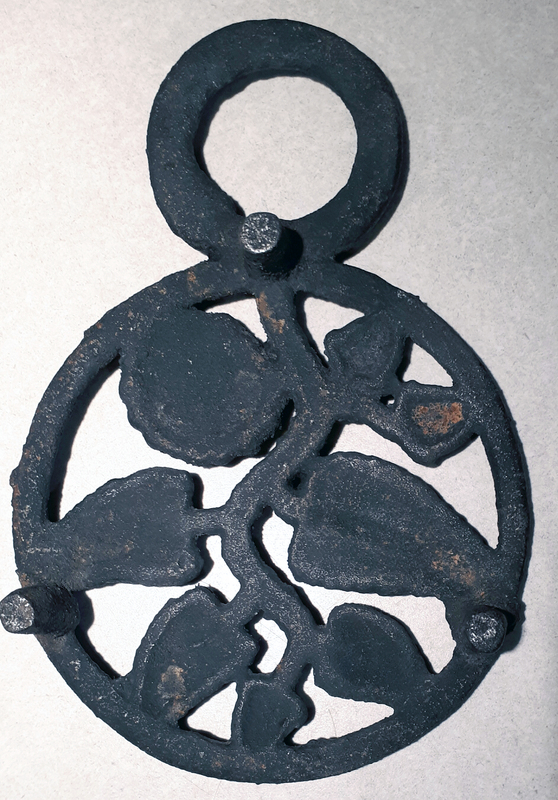 ● The pattern on the cast iron trivet is less defined and roughly cast. ● Metal projections (aka flashing or finning) are present, due to a shift of molding sand during casting. ● The legs are thick and short. ● Early iron forms a dark brown rust; this rust is orange. ● The measurements are One Size Smaller (iron poured into a mold shrinks 1/8″ per foot as it cools and hardens). So be on the lookout for the Ouroboros! To learn more about this ancient symbol, I recommend this video: What Is the Ouroboros. 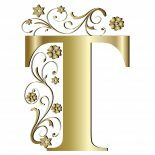 This entry was posted on October 15, 2017 by Lynn Rosack in Antique Trivets & Stands, Reproduction Trivets and tagged bronze, cast iron, One Size Smaller, Ouroboros, snake, verdigris.